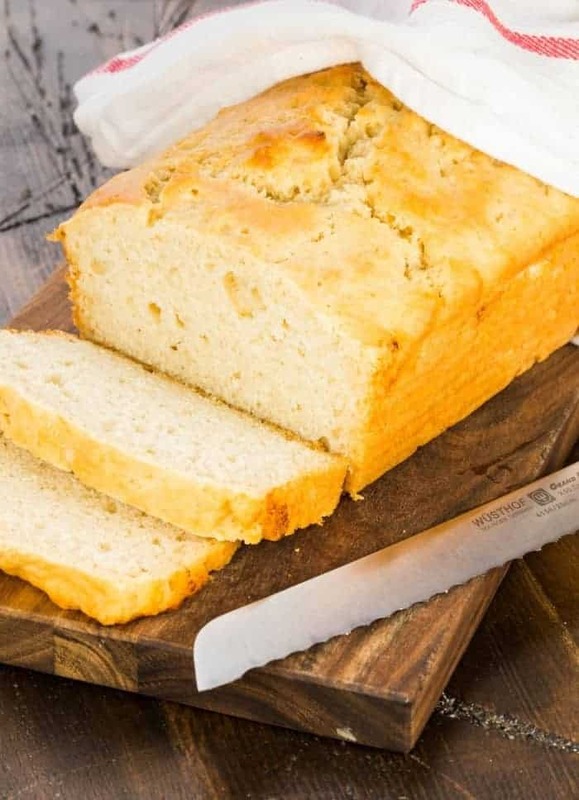 This slightly sweet, slightly tangy, completely delicious Beer Bread is made with only six ingredients and no fancy tools. Baking doesn’t get much simpler than this! Baking doesn’t get much easier than this, folks. Measure, pour, stir and bake. Done. But your reward for such little effort is this amazingly delicious Beer Bread. Yes, that’s right; bread made from beer. Who knew? I’m kinda befuddled as to why I’ve never made this before. Yes, it’s super easy to throw together, but I’m totally hooked on the flavor. It’s a slightly sweeter bread that retains a bit of tang from the beer. This bread would be ideal in muffin form as a partner for soups and stews. It’s also great toasted as the base of an open face sandwich (egg salad, anyone?) and makes a killer grown-up grilled cheese. Or you can eat it like I did: warm from the oven with a generous slathering of salted Kerrygold butter (my favorite!). 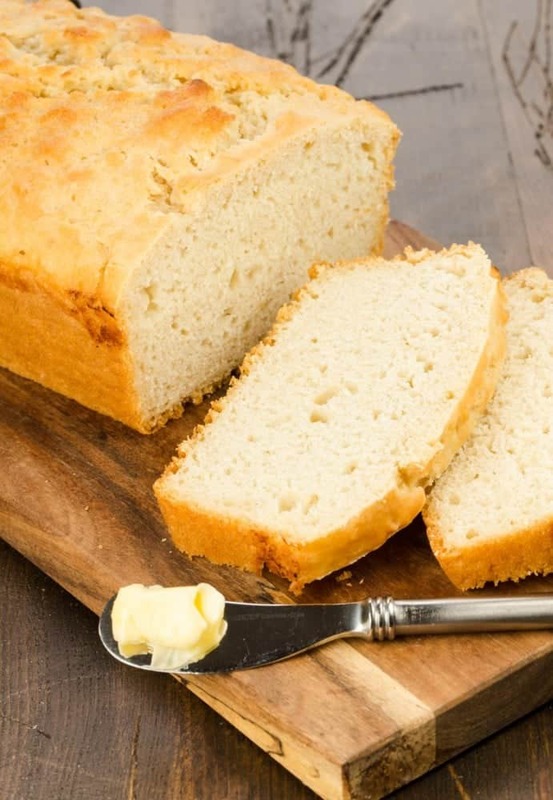 Tip: In honor of St. Patrick’s Day, I made this loaf using a classic Irish lager, but flavored beers would be excellent, too. All the more reasons to bake bread! Preheat oven to 375 °. Lightly grease a 9 x 5 loaf pan. Mix dry ingredients, 2 tablespoons melted butter and beer until just combined. (Lumps are OK.) Pour into pan and drizzle with remaining 2 tablespoons melted butter. Bake for 40 minutes or until toothpick inserted in center of bread comes out clean. Let cool in pan for 5 minutes. Turn out onto cooling rack. Cool completely. It’s funny how simple beer bread is. You think there should be more to it, right?! Mmmm, I bet it smells gooood at your house right about now. Thanks for the Stumble! I’ve tried it with wine before but not with beer yet. Your bread looks so fluffy and yummy. Give it a go, Tiffany, and let me know what you think! I love the recipe and usually add 2 tablespoons fresh chopped chives.